Root canal treatment can be a comfortable, quick procedure to relieve pain and help you keep the teeth that you have. When you and your dental professional decide this is the right option, you’ll be taking a major step toward saving your natural tooth. You’ll be able to chew comfortably and efficiently again, your appearance will remain natural, other teeth will be protected from strain and unusual wear, and you’ll be able to bite with the necessary force, and without unusual feeling that you may currently have. 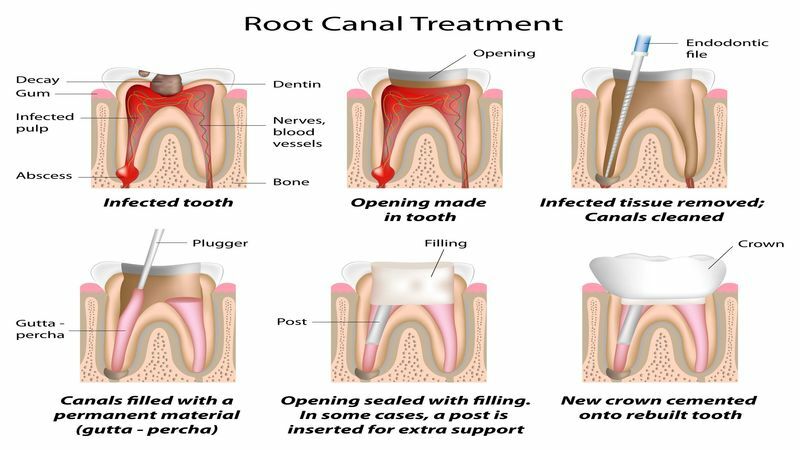 This term, root canal treatment, describes the procedure that focuses on the natural pulp cavity within the tooth. The nerve that feeds your tooth is within a space called the root canal. This procedure is generally used to save a tooth that is infected or has decayed extensively. The nerve and pulp are removed, then the area is thoroughly cleaned and sealed to prevent further problems. The nerve and pulp can become inflamed or irritated, or they can even become the site of an infection due to decay. Root canal treatment in Lakehurst, NJ might also be necessary if you’ve already had a number of procedures done on a tooth, the tooth has chipped or cracked, or large fillings have created problems over time. If you’re experiencing pain and other problems with a tooth, you’re encouraged to contact us to discuss this and other treatments that can get things back to normal for you. Many patients will be candidates for, and will prefer, sedation as opposed to injections generally used to numb the areas to be worked on. Consult with your dental professional about this option if you’re referred to a specialist in oral surgery, for example. When you talk with a member of the staff, be sure to ask about other procedures and treatments, including crowns, bridges, dentures, implants, and cosmetic dentistry. Should You Go to a Dentist Office in Jackson, MI?